If you check return flights to Athens then we can provide you an EXTRA (ADD-ON) that will include night in a hostel in Athens before the cruise, and 1 night in a hostel after the cruise (Saturday) and ferry from Athens to Santorini and ferry from Mykonos to Athens for just 130.-Euro p.p. Sail Santorini-Mykonos. Experience sunsets, cocktails, sparkling seas and trendy coastal towns. Begin your sail in the beautiful Santorini harbor and finish in stunning Mykonos. 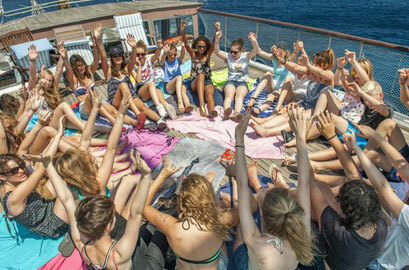 Experience culture, relaxation and partying Greek Style on the famous islands of Cyclades Region. 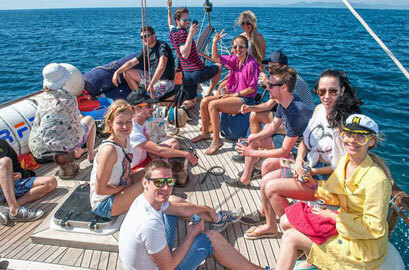 Join your group at 16:00 for a welcome meeting and seize the moments in order to start getting to know each other. After our briefing take a 20 min walk up the steep donkey path to the old town of Thira or use the cable-car ( 5€ p.p.). 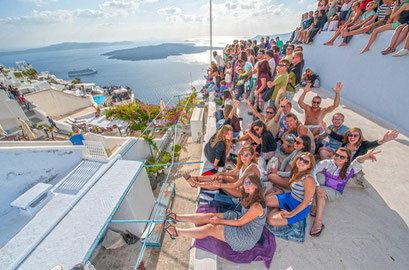 Thira is the central town, full of boutiques, markets, tavern's and coffee shops. This worldwide famous destination, honeymoon dream for couples around the world, reveals its secrets as our tour manager will show you the hidden gems of the island by offering an orientation walk. Later on enjoy a dinner at a local restaurant ( optional) located on the cliffs, in order to watch the jaw-dropping sunset of Santorini. Take your BEST selfie, dream big and create memories that will be kept forever! 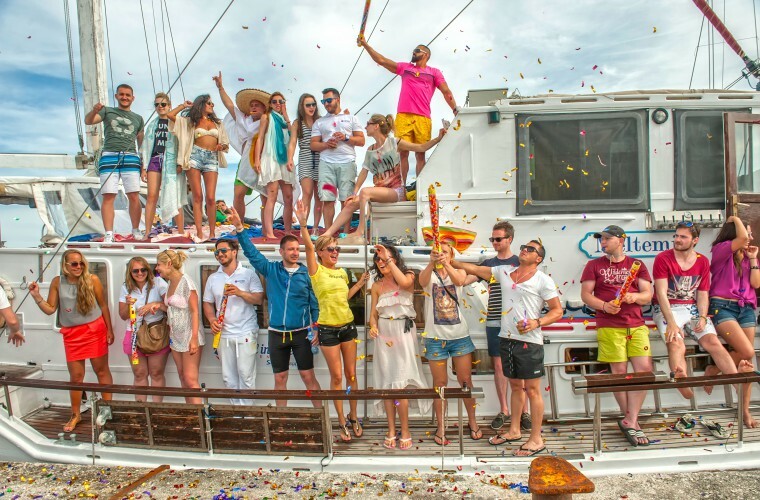 Tonight we will be back on our boats at around 22:00 to mingle with your new friends and relax on your deck! Today we sail from Santorini to Ios and when we arrive we head straight to the hottest beach on the island, called Mylopotas. The famous beach is full of young people, refreshing cocktails and hot sand. Brave enough to join the water sports! Get ready to explore hidden caves, swim at azure blue waters and experience Ios like never before! 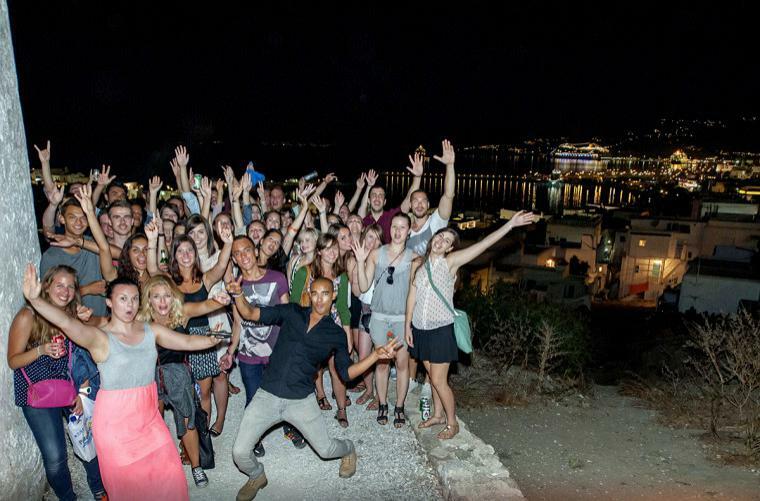 After our optional dinner, experience the famous night life of Ios with our bar crawl and get drunk with free shots and refreshing cocktails! Optional activity: Speed Boat safari & water sports. Wake up smoothly and enjoy the Aegean archipelago of Paros. In the morning you have free time to charge your batteries and walk around the island. 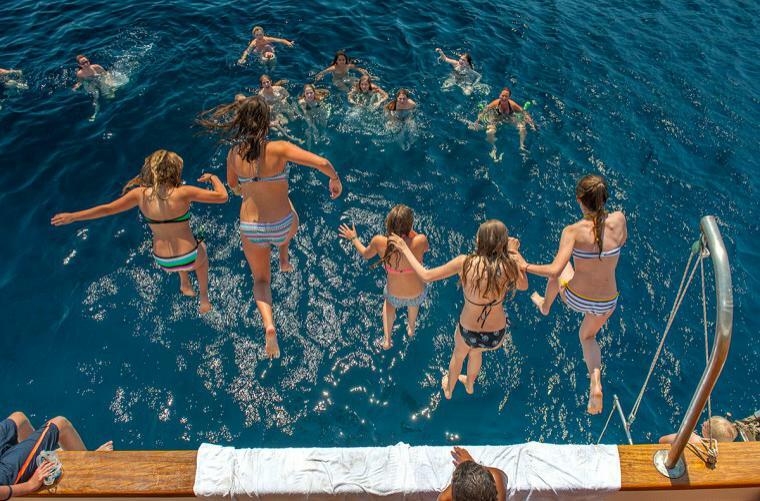 Take a refreshing dive at the golden waters of Paros island or just chill with your friends. Your go! 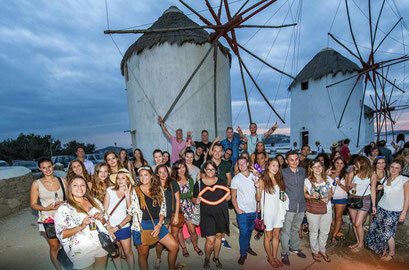 Your tour manager will offer you an orientation walk of Paroikia town and will inform you about the history of the island. Enjoy the Cycladic scenery, feel the breeze and later on get ready for our private beach party at a secluded bay in Paros, with loud music, lots of booze, optional karaoke and party until late! Are you ready for another pub crawl? We are happy to oblige! 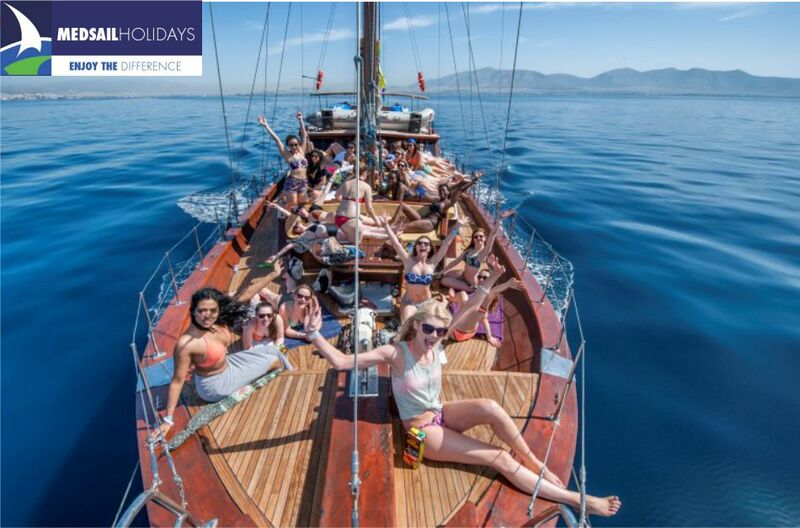 Activity: Private Beach Party ( included) ***Weather dependent on Day 5 we will sail from Paros to Naxos and overnight there.